Music lessons help boost academic results by convincing children that they can learn new skills and become intelligent, new research suggests. Teenagers who are high achievers in music are more likely to think that you can learn to be clever and this has a positive impact on their school work. Children who took fewer music lessons or did not learn music at all were inclined to have a more defeatist attitude, known as a fixed mindset, and did not make such fast academic progress. Watch this short and fascinating video on the extraordinary benefits of embracing music education within a school. The comments by headteachers Shazia Hussain and Hilary Dunford are particularly relevant to the challenges faced by all primary head teachers. Andrew Lloyd Webber says his new musical will challenge politicians to improve school music lesson funding. School of Rock, based on the 2002 film, is about a group of schoolchildren who turn their lives around by entering a Battle of the Bands contest. The young cast - aged between nine and 12 - all play their own instruments. "At this time when there are cuts to music in schools, these are the kids that prove music is vital," Lord Lloyd-Webber told the BBC. He said music "is a force for the good and empowers young people". The composer, whose own foundation funds arts education programmes in the UK, said the government should rethink its "counter-productive" cuts. "At a time when people are feeling alienated from politics, the arts cut right through that," he said. Downton Abbey creator Julian Fellowes, who wrote the musical's book, picked up on the theme. 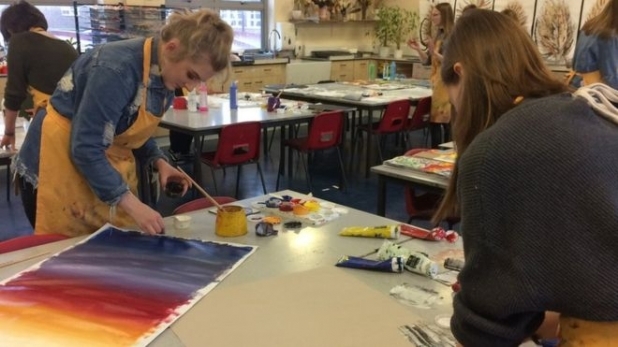 "One of the main purposes of the education years is to help children find out who they are and what they want to do, and the arts are one of the greatest means of allowing people to discover their identity," he said. "It really is mad for the country to cut back on that and throw out a whole load of people from school who really haven't found out what they want to do." 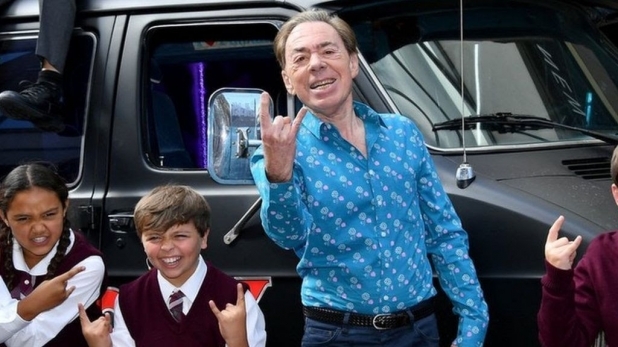 Lord Lloyd-Webber and Lord Fellowes were speaking as they unveiled the cast for the West End transfer of School of Rock, which opened to enthusiastic reviews on Broadway last year, earning four Tony Award nominations. The show, based on the Jack Black film, features three rotating casts of child actors, selected after a nationwide search earlier this year. They range from experienced actors, drawn from the casts of Matilda and The Lion King, to complete newcomers. Among them is Amelia Poggenpoel, from Formby, who made headlines last year when her singing reduced Shia LaBeouf to tears. The 10-year-old approached LaBeouf at his #TouchMySoul exhibition in Liverpool and performed Who's Lovin' You by the Jackson Five. When she finished, the actor stood up and hugged her, sobbing: "You touched my soul." She will play Shonelle in the musical, her first West End role after several appearances in Liverpool. Amelia told the BBC she was living in a "School of Rock house" with other cast members, where tutors run lessons before and after rehearsals. The set up is "much better" than regular school, she added. Other cast members include Isabelle Methven and Eva Trodd, both 11, who previously played Little Cosette in the West End production of Les Miserables, and Natasha Raphael, 10, who toured the UK in the role of Annie last year. Toby Lee, an 11-year-old from Priors Marston who runs a successful YouTube channel showcasing his guitar skills, is one of three youngsters filling the role of Zack. The show revolves around failed rock star Dewey Finn who, in need of cash to pay his rent, fakes his credentials as a substitute teacher. But what starts out as an excuse to get paid for slacking off turns into a life-affirming experience, as he prepares his pupils for a local battle of the bands. "The reason I loved this story is every character in this story is somehow changed for the better through music," said Lord Lloyd-Webber, who first revealed he had bought the rights in 2013. For the first time since Jesus Christ Superstar in 1971, he chose to premiere his new show in the US, principally because it has more relaxed child labour laws - meaning the production could have one permanent cast. He previously expressed misgivings about bringing the show to London, saying he doubted whether he could find 39 children capable of pulling off the live musical elements of the show. Instead, he said, "we could have found five bands to play". "The depth of musical talent that we auditioned is something that I have to admit I didn't think we would find. I kind of feared they'd all be into their computers, but this proves that they aren't." The role of Dewey Finn will be played in London by David Fynn, currently starring in US sitcom Undateable. He said working with three rotating casts of children helped give the show spontaneity. "It keeps me on my toes and, as a result, it helps them stay engaged." The show begins previews at the New London Theatre on 24 October before opening night on 14 November. ‘Gutted’ is a Warwickshire Music five part Viol consort of passionate teenagers who share the same love in playing the viol! Gutted consists of two treble players Kit Marshall and Beth Edwards, two tenor players, Lilly Butcher and Rachel Williams, and one bass player, Rachel Venn. We are led by the amazingly talented Jacqui Robertson-Wade and meet every Thursday for consort and cake. On the 8th February 2016 we had great pleasure to be able to play and educate young children about the Viol at ‘Music For Youth’s’ Primary School proms in Symphony Hall, Birmingham. (Previously, Gutted had got to the finals of Music For Youth 2015 and won a prestigious award in the Chamber Music Class for Performance Practice.) Along with three other groups, Kitch-in Synch (Percussion) from Northamptonshire, Coda (Improvisation Beatboxing) from Lewisham and Youth Brass from Northamptonshire, Gutted were chosen to perform at Symphony Hall. Backstage, the sound of 4000 chattering children sounded like heavy rain and when we walked on stage we received a huge cheer! We were slightly worried that only 5 viols would not be heard, but the whole group quickly grew to love the pure and rich sound that we created together in the vast space. The children also listened very attentively and you could have heard a pin drop. Rachel Leach, the presenter introduced Gutted and gave a very informative introduction about the viol and its history. We did the same concert twice and the repertoire we played was greeted incredibly well by the smiling bunch of primary school children from across Birmingham and the West Midland’s. Gutted played a variety of Music from marvellous composers such as Nicholas Gistou to folk composers like Turlough O’Carolan. Afterwards we all felt extremely blessed to have educated and hopefully inspired so many young children across the county about the Viol and how it’s just as important in music now as ever! I hope Gutted and the Viol will have many more encounters of Birmingham Symphony Hall in the future as I can say it is my absolute favourite venue in which to play viol! As a result of playing at Symphony Hall, Gutted were asked to play at the National Union of Teachers Conference in London the following week. Number one - make sure the Musical Director is a genius. Fortunately the MD of the Warwickshire Choristers is one. Number two, create an organisation where the parents are totally committed and supportive. Number three, remember that boys are not girls and they need a unique approach to rehearsals and concerts. Number four, work incredibly hard. Garry Jones is a genius. He is a great friend of mine and a former Director of Warwickshire County Music Service. Since he retired from that job he has been working virtually full time creating the Warwickshire Choristers and, more recently, the County Male Voices; an equally excellent choir made up of all the boys that started singing with Garry 6 years ago. The Choristers have been in the final of Music for Youth 5 times in the last 6 years and have received Choir of the Day in every BBC Choir of the Year competition since reaching the televised final in 2010. They produce CDs, go on tour and have featured on radio as well as television. They regularly perform at major concert venues including Symphony Hall in Birmingham, Truro Cathedral, Westminster Cathedral and the University of Warwick Arts Centre. It is perhaps two things that stand out for me as I watch and admire Garry at work. A concert last night is a good example. The care he takes over the choice of repertoire for the boys is extreme - but utterly worth while when you hear them. Yesterday's concert started with a sublime rendition of Ubi Caritas by Albrecht. The pure young voices of two solo choristers soared around the Parish church of Leamington Spa and set the tone for the rest of their performance; including music by Jefferson, Poulenc, Frank and Schwartz. The boys, aged between 7 - 12, perform music that you would not think they have the maturity to manage. Le Chien Perdu by Poulenc was simply sensational; unaccompanied and without a conductor. The reason they can do this is because of the unique relationship that Garry builds with them. This is developed in no small part by his rehearsing style. I have sat in many rehearsals and it is not unusual for Garry to spend up to 10 minutes on one sound. The boys come into a choir where excellent is simply taken for granted and the hard work needed to achieve that is there for all to see. The research indicates that music instruction helps enhance skills that are critical for academic success. 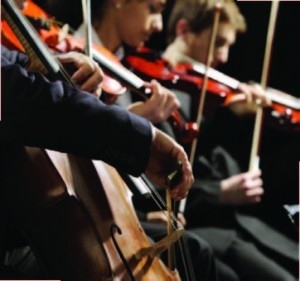 The gains were seen during group music classes included in the schools’ curriculum, suggesting in-school training accelerates neurodevelopment. Professor Nina Kraus, director of Northwestern’s Auditory Neuroscience Laboratory at the School of Communication, and her colleagues recruited 40 Chicago-area high school freshmen (14-15 years-old) in a study that began shortly before school started, and followed them until their last senior year (18-19 years old). Nearly half the students had enrolled in band classes, which involved two to three hours a week of instrumental group music instruction in school. The rest had enrolled in Junior Reserve Officers’ Training Corps (JROTC), which focused on fitness. Both groups attended the same schools in low-income neighbourhoods. All participants improved in language skills, but the improvement was greater for those in music classes, compared with the JROTC group. According to the authors of the report, high school music training might hone brain development and improve language skills. The stable processing of sound details, important for language skills, is known to be diminished in children raised in poverty, raising the possibility that music education may offset this negative influence on sound processing. Does Singing Help Develop Language Skills? County Music recently ran a very exciting programme to develop language skills through singing. We worked with children in nursery and reception (ages 3-4) and alongside their teachers. The children were put into small groups and taught songs and exercises. These songs and exercises were very carefully chosen to develop their listening and visual skills as well as teaching them specific vowel and consonant sounds suggested by their teachers. There is plenty of evidence to support the use of singing to develop language skills within children. 'Parents should sing to their children every day to avoid language problems developing in later life', according Sally Goddard Blythe, a consultant in neuro-developmental education and director of the Institute for Neuro-Physiological Psychology. 'Singing songs teaches children about how language is constructed. When you sing, words and phrases are slowed down and can be better understood by your baby. Singing regularly will help your baby to build up a vocabulary of sounds and words long before they can understand the meaning'. The case for singing as the right approach to children with special needs is made by Dr. Michael Heggerty, an expert on literacy. 'How do teachers reach students with special needs that are included in their classroom? Music is a tool that is developmentally appropriate, facilitates language fluency, helps brain development and, above all else, is joyful’. The first results from our Early Years Language Development programme are encouraging. One of the many interesting observations was that the behaviour of the children in the singing sessions was different to that in the class situation. Teaching staff were able to watch and really observe how the children formed their sounds. The school has requested a continuation of the project and other schools are also interested in exploring the use of singing to develop language skills. We intend to work closely with Teaching Schools in the area to offer training programmes for colleagues working with Early Years and we anticipate considerable demand. how music can benefit the brain. Want to know how to get your students to practise? My wife Emma is an English teacher and she asked her class of 15 year olds about how they played video games and what they did to improve. The answers were fascinating. There was general agreement that video games set attainable targets at each level that the players strive for and they constantly raise the bar but only by a sensible and achievable level. A stimulating and even exciting learning environment is created and, guess what, they wanted to practise to improve. Those of you familiar with the work of Professor John Hattie will recognise his comparison of effective learning with video games. His research focuses on what makes effective teaching and he has created what he calls his 'table of effect sizes' in relation to what has the greatest influence on student learning? Top of the list is Feedback. He identifies 3 feedback questions and 4 levels of feedback focus and I have tried to explore how each of these might be applied to instrumental/vocal instruction and practise. Let us assume that we are discussing an individual music lesson with a student and a teacher working on the performance of a piece of music. 1. Where Am I Going? The end result will be the performance to the highest possible standard and the teacher will be modelling the final result to the student. 2. How Am I Going? A practically based lesson will be a constant exchange between student and teacher in which modelling and guidance will take the student ever closer to the 'ideal' performance. 3. Where To Next? Just as in the video game analogy the teacher will recommend the next piece to be studied that will challenge and stimulate the student without raising the bar too high. 1. Correct or incorrect. The student is corrected when errors are made. 2. Process. The student is guided as to how they can correct errors. Perhaps by demonstration of a practise technique that will help them overcome a challenging part of the piece being studied. 3. Self evaluation and self confidence. The student is shown how to assess their own performance and have the confidence to do so away from the lesson. 4. Personal. The student is encouraged to make the performance their own and consider the subjective aspect of performance i.e. the mood and feeling that is required in addition to simply playing the right notes and observing the musical elements. How often do we get as far as level 2 but no further in our teaching? How often do we consider levels 3 and 4 to be relevant only to more advanced students and that simply 'playing the right notes' is as much as beginners can manage? When I reflect on my own teaching these 3 Feedback Questions and 4 Levels Of Focus really help me to understand what I need to do in order to be an effective teacher and to ensure that the feedback to my students is the best it can be. Do children learn instruments quicker than adults? How often do parents praise their children's progress on an instrument with the words 'I could never do that'. Is it true that children learn instruments quicker than adults? There is surprisingly little research evidence to confirm or deny so opinion tends to be personal and anecdotal. 1. Neural connections. We are told that as we age we lose brain cells and therefore neural connections. Whilst it may be true that children have more neural connections than adults it is not just a question of how many connections there are in a brain but how well they are used. 2. Learning environment. Children are in a constant state of learning and therefore perhaps more 'tuned in' to gaining new skills and understanding. It is undoubtedly true that as we get older we can get into an environment where we are constantly repeating existing knowledge and experience rather than gaining new knowledge and experience. 3. Attitude. If we create a learning environment we are more likely to absorb new ideas and information and be receptive to new learning. As with all new learning, wanting to learn is perhaps more important than simply finding the time to learn. 4. Natural aptitude. It is always an interesting debate regarding nature and nurture. Why do some people appear to excel in areas where others do not. What does being 'musical' actually mean? Are some children/people better at playing instruments or are they simply the ones who are more determined and practice for longer ? There is a theory that 10,000 hours of practice as a child is needed to create a top class player so is it just about determination rather than so called 'musical' ability? 5. Distractions. Adults tend to have lives that are well established in terms of filling up the day. Things like going to work, cleaning the house, looking after children etc. create a timetable of activity that can leave little time for anything else without considerable self discipline to create that additional time. Children can have a much better attitude to their time management and can be very single minded when it comes to setting aside time for what they consider to be important to them. For what it is worth, my father starting learning the piano after he retired. It is never too late and it always comes down to doing what you enjoy.